Charge Time: 7-8 hrs. (If charge via both Inputs- 3A). 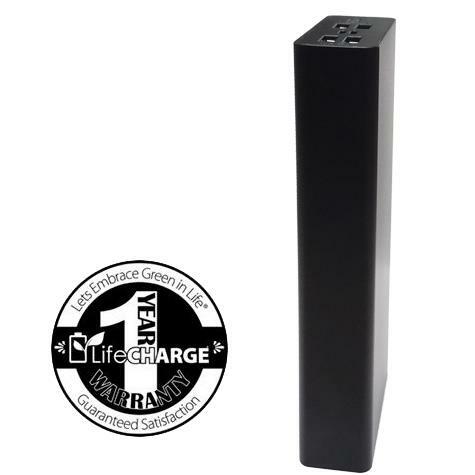 The LifeCHARGE JUMBO MEGA packs potent power into its sleek, pocket-friendly design. Wherever you go, JUMBO takes you there with the peace of mind of knowing that backup power is just a reach away. Add maximum juice to your smartphones and tablets at lightning fast speed with JUMBO Plus 25,000mAh battery and a Input Maximum of 3amps. Where’s an extra USB port when you need it? 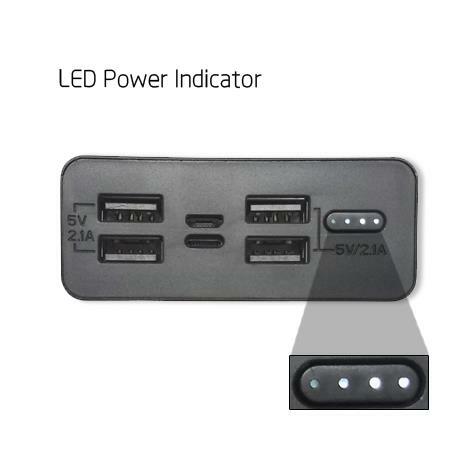 The Jumbo Mega accomplishes its super-charging feat with the help of four integrated USB outputs. 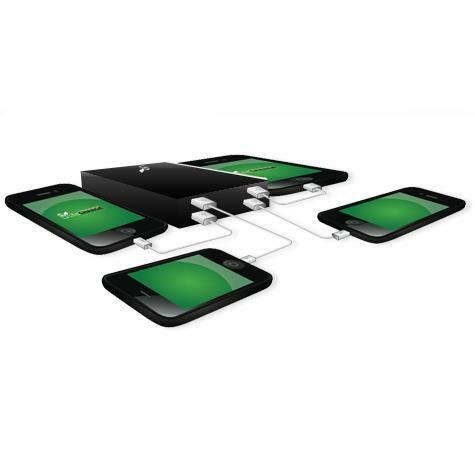 As a result, it can simultaneously charge four smartphones or 2 iPads/tablets (Total Output- 4.2A). No more family feuds over who gets to recharge first. The Jumbo Plus is power-packed with 25,000mAh of battery juice. That’s almost enough energy to recharge both an iPhone 7 and an iPad Air 2 TWICE! It’s also sufficient to charge an iPhone 6/6salmost six to seven times, a Samsung S6 almost four-five times, or an iPad Mini two times. The Jumbo Plus replenishes ultra-fast (typically in seven to eight hours) thanks to its dual input design. 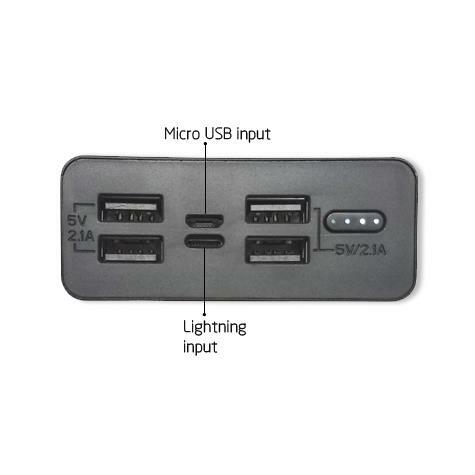 Lightning cable and Micro inputs are both built in. 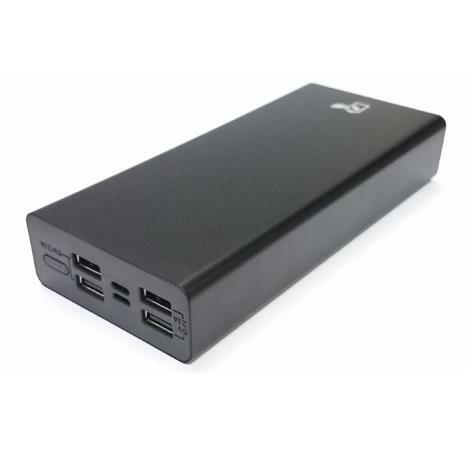 The Power pack’s life-saving 3A dual port input reduces recharging time by up to 50% compared to the typical 25,000mAh battery. JUMBO Mega is brought to market by LifeCHARGE, the trusted manufacturer of cutting-edge accessories for all the latest smartphones and tablets. LifeCHARGE chargers consistently receive four-star or better ratings on Amazon.